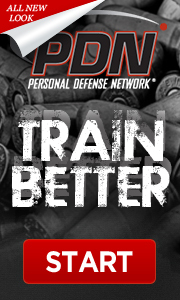 Innovative Defensive Solutions, llc (IDS), offers a multi-state (Florida, Utah, Virginia) 4-hour Firearm Safety Course. This classroom instruction qualifies you to apply for concealed carry handgun permit in Florida, Utah and Virginia which grants reciprocity in 36 states depending on your preference of application submittals. You may apply to all three states for a permit, any combination of states or just one. The choice is yours. *This is not a shooting course. * No ammo or firearms are allowed in class. IDS will have firearms on site for demonstration purposes of the class. *If applying in FL you will need to complete a live fire range session witnessed by one of our instructors at additional cost. This will also need to be pre-scheduled and will not occur on the same day as your Multi State Course. You do NOT have to take the course before the Expiration, you only had to register before your expiration date. We currently have courses on the calendar through 2014, please read below and then click on the calendar to view the possible dates. If you are using a Valid and Active Groupon Voucher #, please read the following information on the Multi-State Course. Once you have read through the information then please go to our calendar and click on a date that works best for you. Fill out the form and enter your Voucher # in the box provided. Once EVERYTHING is filled out completely then please click on submit. If your code is valid and active this will automatically register you for the course and no further action will be required except to just show up to the class with an open mind. Please DO NOT enter your Voucher # in the Coupon box but rather the Groupon/Amazon Daily Deal Box. Courses will be marked full at 30 or 75 depending on location. Courses will be added in correlation with demand. Please read our Cancellation and No-Show Policy by clicking here. Please be advised that IDS, llc cannot refund monies paid for courses purchased through Groupon, Amazon Local, or Google Offers. If you are not using a Groupon Voucher and wish to attend the course you may enter your CC info on the same registration page. The course covers firearm laws, info on purchasing, info on traveling with a firearm, concealed carry laws, as well as, safety procedures and firearm handling techniques. Situational Awareness and Avoidance are discussed as well. Complimentary fingerprints will be taken and must be included with your Florida and Utah application. Fingerprints are only required in Virginia if you are applying as a non-resident. However these prints are will have to be taken by the VA State Police if you are applying for a VA non resident permit. Instruction is provided by certified Utah CFP instructors, Combat Focus Shooting Instructors and Certified NRA Instructors. The classroom will be in a spacious board room/ conference room at a local hotel in the Chantilly and Sterling Virginia area. Click here to view the calendar and select a course Date that works with your schedule. Click here to view more detailed info for application submittals. Please arrive 30 minutes before the class start time. This class is 5 hours in length, but extra time should be set aside before and after to complete the fingerprints and notary services. These services will most likely be completed during the course of instruction but again extra time should be allotted. If you are applying for a VA Resident OR Non Resident Permit please click here to download the application. You will need to bring this with you to the course filled out so that we can notarize the application for you. Please use Black Ink and write neatly and clearly to avoid the county/state/city from rejecting your application. The following web sites have additional information regarding concealed carry laws and the appropriate application process. The following links contain the reciprocity agreements on the appropriate state websites. *Our spreadsheet below might not be the most up to date comprehensive list at the time that you view it so we provide the reference material so that you can verify. Click here to view which states have reciprocity agreements with VA.
Click here to view which states have reciprocity agreements with Utah. Click here to view which states have reciprocity agreements with Florida. **Delaware no longer reciprocates with VA. **Kansas now reciprocates with VA and UT.